A small red flame burst forth from the toaster and quickly climbed the kitchen curtain to embrace the ceiling fan blades circling above. The young mother grabbed a towel and swatted at the flames but they paid little heed to her efforts. Hungrily, they licked at the wood cabinets and burned brighter. Now, smoke curled over the sink and began to fill the room. Dropping the towel, while shouting to her children to follow her outside, she snatched her cell and dialed 9-1-1. Within minutes, a massive red truck with sirens wailing pulled up and into the driveway. The first responders unit went into action. This day, a home and family was saved; thanks to the quick response and skills of the community firefighting team. 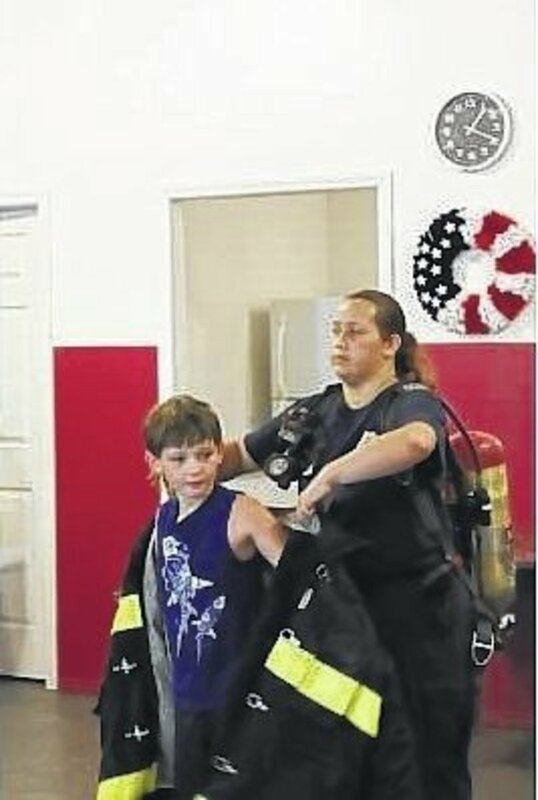 —You might be a firefighter if your kids are afraid to get into a water fight with you. October is Fire Safety Month and across the nation many communities will get a first hand look through station tours at what it takes to meet the needs of a community when it comes to safety. Many of us have little knowledge of the requirements it takes to become a firefighter. And we do not realize putting out fires is not the only responsibility they perform for the general population. A firefighter is called upon to put out fires of different nature; for example, forest, fuel or structure. In addition to this he or she may handle crisis situations such as helping trapped individuals in an accident, search and rescue, medical calls, or environmental issues such as an invasion of bees. They also conduct first aid classes and provide CPR training. 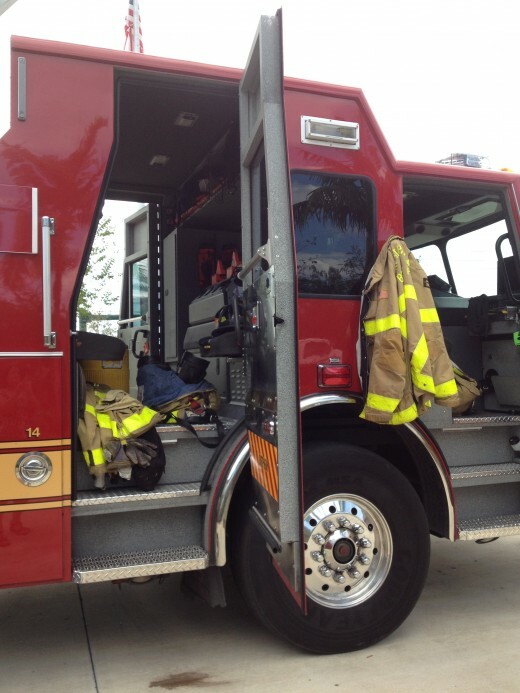 Many of our schools host fire departments during this month to demonstrate prevention techniques, display fire trucks and equipment, and encourage a community spirit. 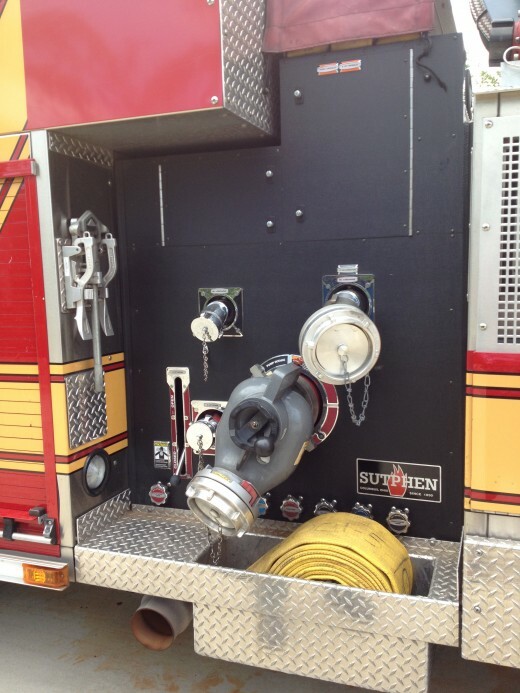 Additionally, the fire department inspects sprinkler systems, fire extinguishers and safety hazards in companies and other business structures. They offer classes on home fire safety and safety hazards, as well as carry out active public relations work. What do firefighters do when there are no fires in the community? Between emergencies, they may work on vehicle maintenance, clean and repair gear, work on physical fitness (a must for keeping in shape and at top performance), update pre-fireplans, and run through drills. And of course, cooking is a necessary past-time to refuel and keep the body healthy. The role of a firefighter encompasses many professions, he or she may be called upon to act as a social worker, psychologist, teacher, police officer, mechanic, or technician at any time in the line of daily performance. When a person dials 9-1-1 they may require services out of the ordinary such as unlocking a car, fixing a broken water pipe, or getting the family cat down from a tree. No matter what time of day it is, our firefighters are fully prepared to come to the rescue. The following table exhibits what people can do to increase home safety. Make sure all exits in the home are clear of toys, trash, etc. 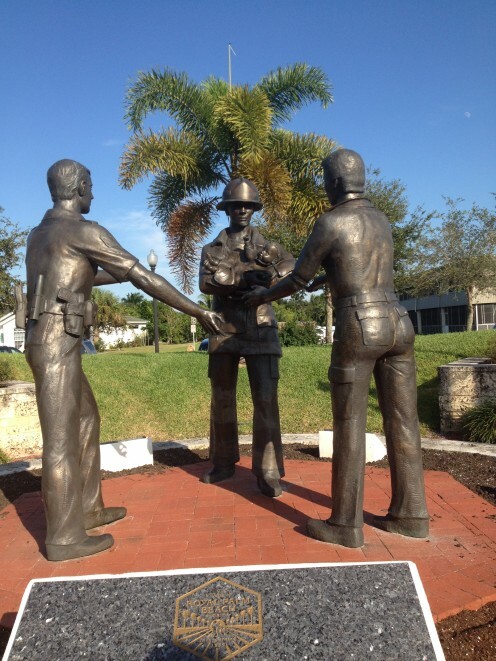 Located on Okeechobee Blvd, the station serves the heart of the local community. 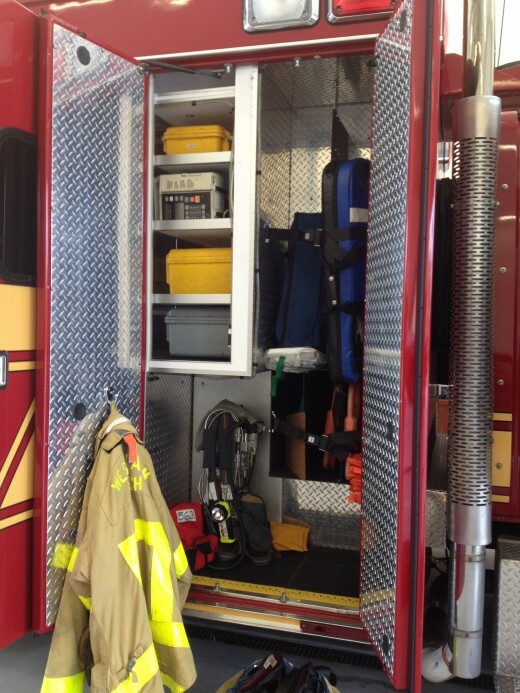 Equipment must be organized and ready for emergency calls. A view of the cab. Everything looks in place! Interesting features we never really see - all so important! 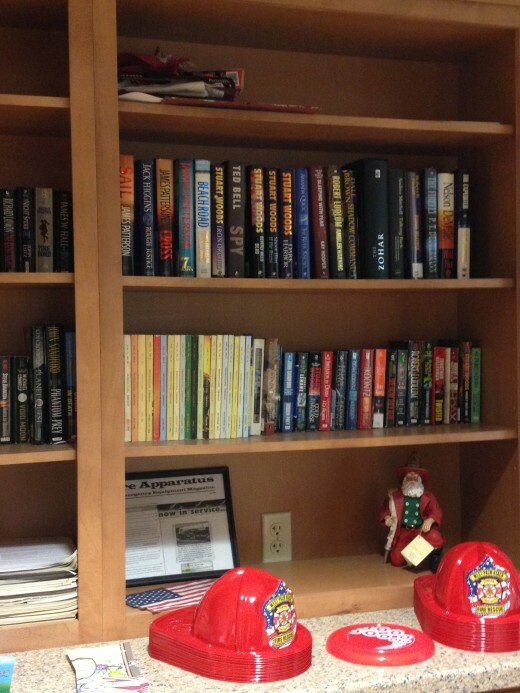 A full library is accessible to the firefighters. Keeping in top physical shape is a must for all firefighters. 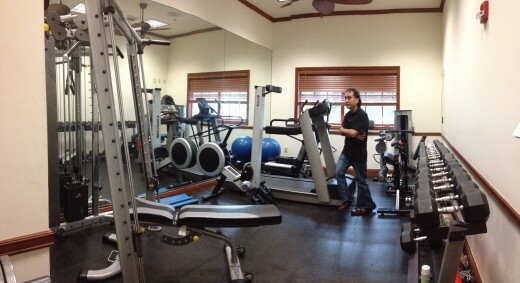 The mult-purpose room is used to conduct training and offer classes on safety. 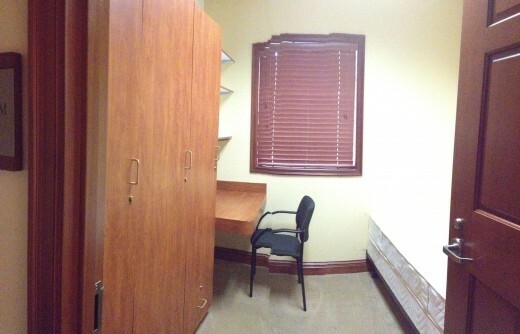 A typical bunk room where they can rest and get some sleep between calls. The media/entertainment center where one can get away from the job's intensity for a little while. The Mess Hall or kitchen. This evening homemade pizza was on the menu (we just missed the previous evening's beef stroganoff!). During our visit to the fire station, we asked our tour guide, Lieutenant Schurter, what his biggest concern was when called to fight a fire. Outside of getting people to safety, he feared losing one of his team members. They are a family and depend upon each other during these incidents. He said it only takes one slight error to cause a tragedy. Constant awareness of rules of engagement for survival are what keep units functioning together. 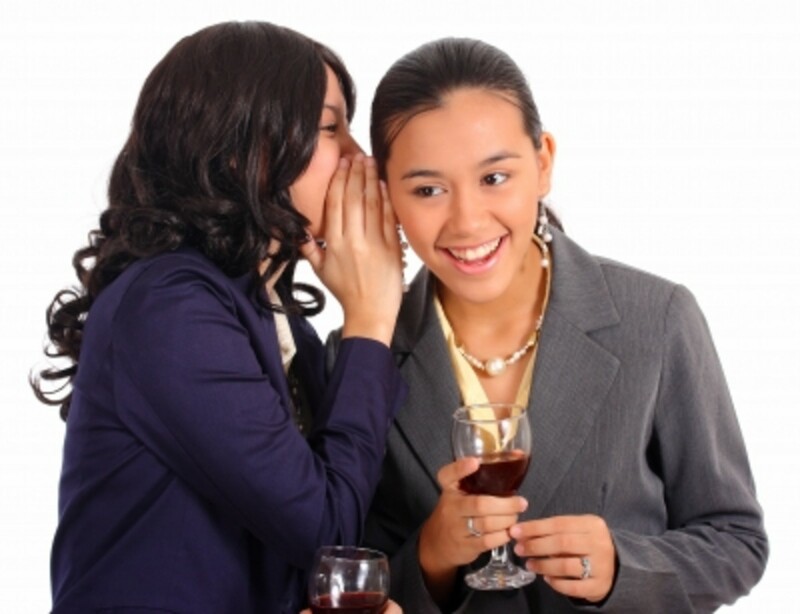 Your are required to report unsafe practices or conditions that can harm you. Stop, evaluate and decide. Declare a Mayday as soon as you THINK you are in danger. I for one do not envy the role a firefighter must play to keep us safe every day. They must maintain a positive mindset, remain strong and never quit. Their loved ones keep a prayer on their lips and a watch for their return at the end of the day. The next time you pull over for a firetruck, remember to pause and say a prayer for these hometown heroes. Great hub teaches. You know a lot about me. My brother and I were both, 1st responders and firefighters in Chicago for over 22 years. I became a fire inspector as well. This deserves to be HOTD. God bless you! Amen to this, Teaches, "The next time you pull over for a firetruck, remember to pause and say a prayer for these hometown heroes." So often lately I wonder why traffic fails to pull over for a firetruck or emergency vehicle. If their house was on fire they would want the firefighters to get there right away. You've provided valuable information here on fire prevention and practice drills for households. A very informative hub, thank you for sharing. I, for one, have never known a firefighter and didn't know what one could do, other than point a hose at a fire. This tells me where our tax dollars are going. Thanks again! Thanks for your visit here and support of our local heroes. Have a wonderful week. Highlighting this hub on firefighters seems appropriate today since so many have given the ultimate sacrifice in service to others. Thanks again for an important and useful post here! Came back to read again, great hub. Firefighters are our everyday unsung heroes. Great hub. Just came back for another read of these amazing people who save lives every day, voted up and shared! Ologsinquito, they are my heroes for sure! Good to see you and enjoy your week. These first responders really are modern-day heroes. Minnetonka, yes, God be with them and keep them safe. They are such real community heroes. Have a wonderful 2014. Such a thoughtful and informative hub on our courageous firefighters and first responders. There is no adequate way to thank these heroes who put themselves in harms way. I am grateful that these men and women are called to this important mission. God Bless them all. JPSO138, I admire your bravery in serving others. Thank you! May you have a wonderful week. Hi teaches, I really appreciate your hub. 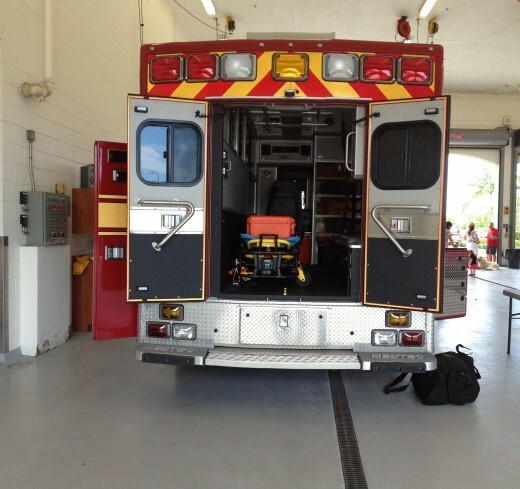 I myself have worked as a firefighter and a paramedic in our area. Truly the work is risky but very fulfilling as we get the chance to save lives and properties. Elias, I agree whole heartedly with supporting and praising our brave fire fighters. Enjoy your week! Millionaire, give that firefighter friend of yours my best wishes for serving so unselfishly. The firehouse tour was a wonderful time spent learning about these wonderful people. Jodah, thank you for serving as a fire fighter for the safety of others. I do believe this station has a few volunteers as well, they are priceless people! Enjoy your weekend and stay safe. Blessings. Well done teaches, This is the best article I have read on the role of fire fighters. I am actually a firefighter in a rural brigade. Our station is much more basic and we are only volunteers, dealing mainly with grass and bush fires, but it has its dangers none the less. Thank you for writing this and making everyone aware of a fire fighter's role. I have a friend whose husband is a firefighter, and it constantly impresses me that someone is willing to put their life on their line to save a stranger. Thanks for the tour of this firehouse! Pamela, it does take a special person to accept this great responsbility. I am so appreciative of their serving us each day. Blessings. I have the utmost respect for firefighters, and your hub is filled with excellent information. It is such a dangerous job; I guess it takes a special kind of person to put their life on the line this way. Awesome hub! Rose, there are many of us who would not even think of volunteering our time to fight those bush fires. Those that do, are true heroes! Midget, I can't thank them enough for what they do for all of us. I was very happy to find this hub. Firemen are heroes and deserve more recognition. They risk their lives for others, often sadly losing their own. Sadly in the NSW the devastating bush fires which have been going on for days both cevillians and firemen have lost their lives. They are indeed very special people. A profession that is very much underrated. We need to pay them due recognition indeed! Thanks for sharing! Lyric, so sad about the loss of children's life in Logaan. That is sad. Yes, being prepared will help prevent fires. We can't say enough about these heroes. Be well and safe. Teaches, another great article to the collection! Perfectly said and great information on fire fighters. ALL of them are true heroes, point blank. I love the reference to the Bible quote, that says it all. Imagine that, someone willing to risk their own life for people they don't even know. The value of life is so strong and fire fighters risk their won for the safety of others. Key points on being safe. We recently had a fire in Logan and two young children was lost, very sad. You should always be prepared with the right equipment. Well done Teaches. Dr BJ, I admire these firefighters, but I don't believe I have the stamina to take on their responsibility. Yes, they are to be admired and thanked for what they do for us. Take care and stay safe, dear friend. The bravery of firefighters as well as police officers, Dianna, is too often overlooked and taken for granted. Thanks for reminding us that they are, indeed, very special people. Just like your great quote: 'All men are created equal, then a few become firemen.' Voted up, m'dear. Deborah, I just heard the fire engines this morning and remembered the men that I visited at the station. They put their lives on the line every day, as you say, and it is to be commended. RTalloni, the list is one that I hope families will at least check to see if they can improve their home safety. Thanks for the insight. Denise, great habits to keep! Wow, you are such wonderful people to take foster children under your wing. What a way to help others. Thank you to each of you for coming by and commenting. Have a wonderful and safe week. This is excellent information. More families need to be aware of these safety tips and take precautions to protect their families from fire hazards. We didn't realize how much went into it until we applied to be foster parents and had to add fire alarms, extinguishers, and a plan to our household. Since then, it has been a habit that we decided to keep. Thanks much for this vicarious field trip and for highlighting the skills, strengths, and courage of fire fighters and their units. It is good to be reminded of the safety check list--thanks for adding it! Thank you for writing this engaging hub, I have a deep respect for the commitment of Firefighters, Police and Military in the USA. They put their lives on the line for regular people like us. Hope you win the Best Hub Award! CrisSp, I salute your and am impressed with your unselfish dedication to mankind. You have my prayers and hugs. Hi Rebecca! What wonderful lifesavers they are and so very much worth our respect and praise. 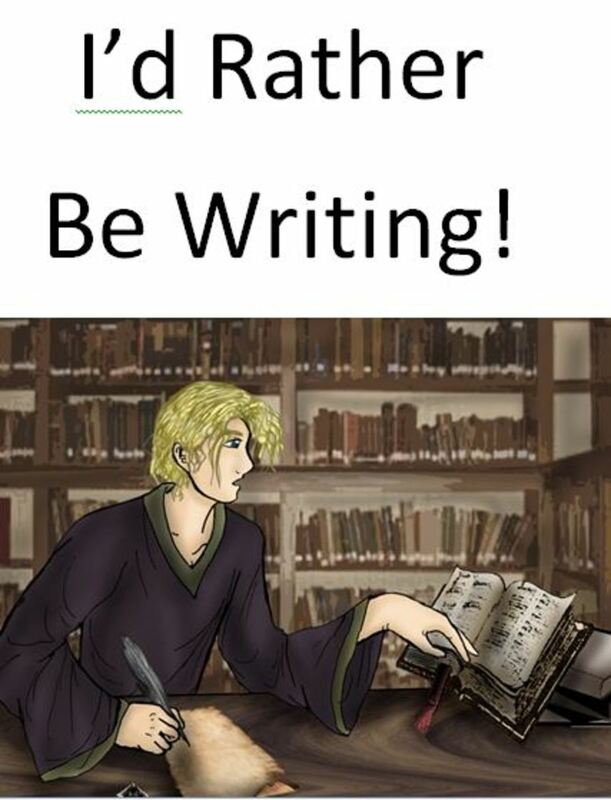 Blond Logic, yes indeed - they are heroes! Be safe and well. They said we have 8 in our city, doesn't seem like enough but they do get the job done. Have a wonderful week, Mary. I hate to hear how intense they must be around the clock. Praying they remain safe. Thanks, Long Time, for your sharing what's happening in Australia. Be careful. Ginger, I chuckled at those statements too, especially the microwave bell. I've answered my phone before on that ring! They are such great role models for our kids. Alicia, they are wonderful, indeed! Wonderful people, aren't they? It would be great to see them practicing drills. Take care. Cleaner, I respect these servants more after visiting them last week. What a wonderful way to honor those heroes of 9/11. Yes, let us not forget what they sacrificed for others. Bill, we don't think about how much these firefighters do until we need them sometimes. They are true heroes. Crafty, So sad to hear of this loss of support for your town. Sounds like you have benefited so much from their service. Hope your town gets it all sorted out soon, you need these heroes. I am a trained firefighter at 37 thousand feet and I salute the brave and courageous firefighters we have in the world! Great hub, packed with useful information, very educational and a great tribute to our brothers and sisters in the field. Thanks for a great tribute. What would we do without our first responders. They literally save lives everyday. Excellent hub. I didn't realize this was fire safety month. Everyone has varying opinions of public service workers but we all agree that firemen are heroes. Firefighters are the unsung heroes in our country. I couldn't help but think of the brave men who perished in the wild fires this past summer. 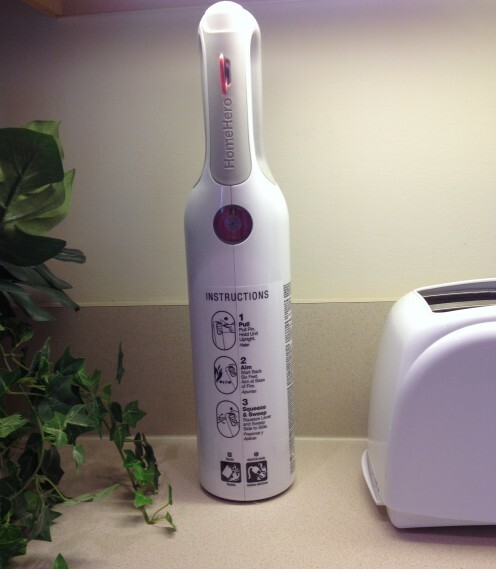 I keep a fire extinguisher in my kitchen. 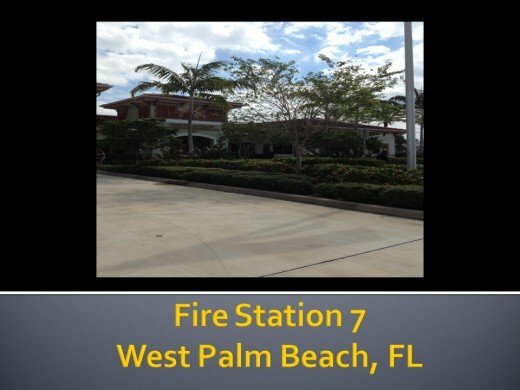 Great photos of your WPB Firestation. At one time our small community depended on volunteers to fight fires; now, we have several fire stations. This is a great tribute to firefighters, Dianna. They do a wonderful and very useful job. Thanks for honoring them. Great Hub. One of the bike groups I ride with did a large group ride to Grapevine, TX this past 9/11 to dedicate a memorial to the 343 firefighters who lost their life on 9/11/01. Let us never forget! A dangerous job for sure; at times a thankless job, and one most of us would not want. Thank God there are those who answer the higher calling in life. Great tribute to them and very interesting, Dianna! Excellent article. I served on a canteen truck for the local volunteer fire department in my early 20s. Our town is in turmoil right now. The fire department is bankrupt! It's so sad. Some of the firefighters that are there taught about fire safety when I went to elementary school. Now the thought of it closing is heartbreaking. It's right by my house. They rescued me when I fell off a chair trying to get the smoke detector to quiet down. I was pregnant with my first child and we had a microwave fire. Till, I agree that volunteer firefighters are to be honored. They truly have a heart for helping others. Your family is awesome!! Thank you, Vellur, Faith, Mhatter. Our firefighters are such a valued part of our communities. Just wanted to honor their work and personal effort. We would all be in one heck of a mess without firefighters that's for sure. If you haven't had direct contact with a firefighter in his/her official capacity surely a family member has. 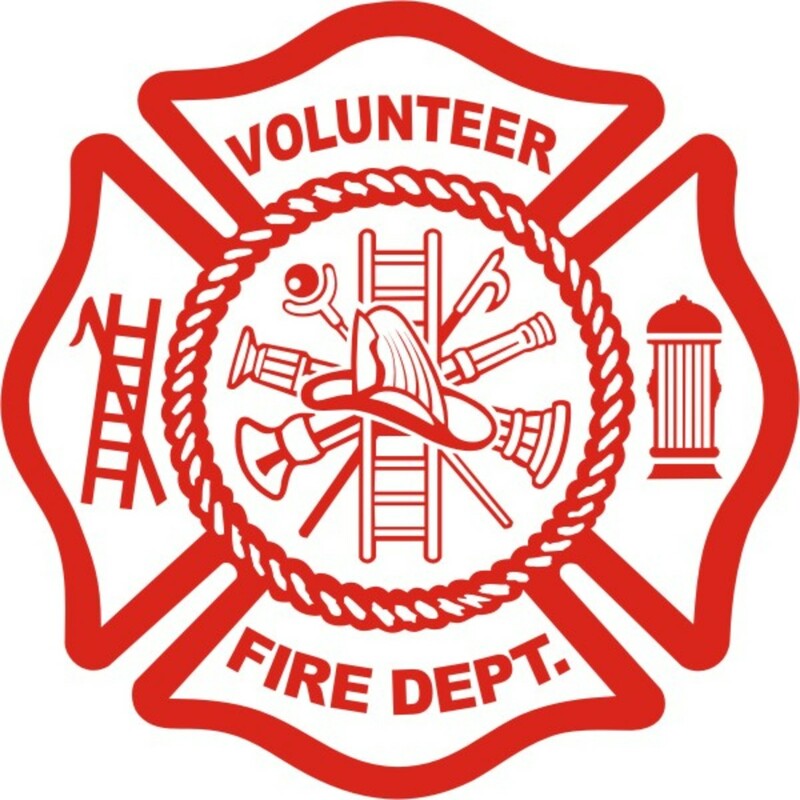 In addition to paid firefighters, volunteer firefighters are certainly community heroes who go above and beyond...a bit like Clark Kent/Superman....they live an ordinary life, have an ordinary job, etc. BUT when duty calls they drop everything to fight fires! I know, my father-in-law, husband, and now grandson have been volunteer firemen. Thanks for a great article with some nice pictures. Voted up, useful, interesting and awesome because they are and your hub is. Wow, great intro there, truly ... as well as the rest of the insightful hub here. A wonderful tribute to those who place their own lives in danger to save others' lives. I love that scripture at the top there. Well, I tried to pin this and it kept says "Whoops" so will return. Firefighters are very brave and self sacrificing. Without a second thought they jump in to put out a fire or save a victim. They are our everyday super heroes. Great hub, voted up. I totally agree with you on this thought. What would we do without them? Keep safe and well, Jackie. Firefighters really are some great people. All the time and risk they put in and many losing their lives. What would we do with out them? Great tribute. Up and sharing.